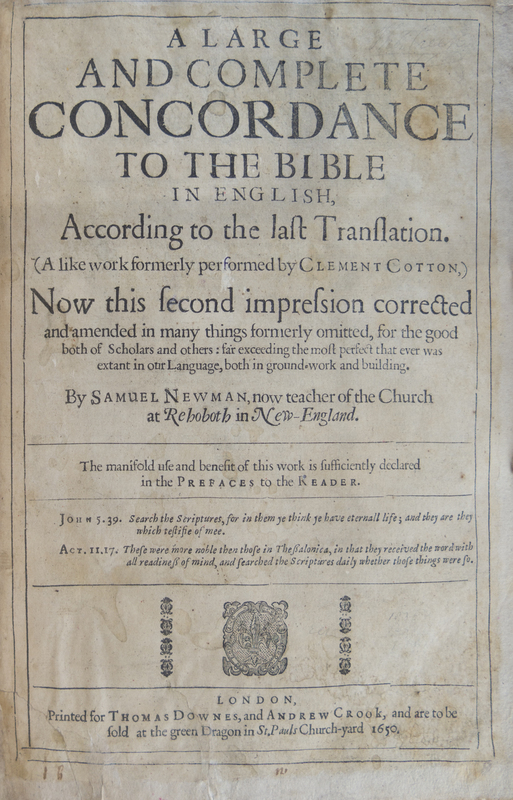 Samuel Newman’s Concordance, an alphabetized index of words in the Bible that he revised in Rehoboth, was considered the most superior work of its kind in English in the seventeenth century. Newman was born in Banbury, Oxfordshire, England in 1602. He graduated from Trinity College, Oxford in 1620 and after studying theology became a minister in the Church of England. His Puritan leanings led to persecution, which he escaped upon immigration to Massachusetts Bay Colony around 1636. Living in Dorchester, he worked as a preacher and began the first edition of his concordance. By 1639 he was serving as a pastor in Weymouth. 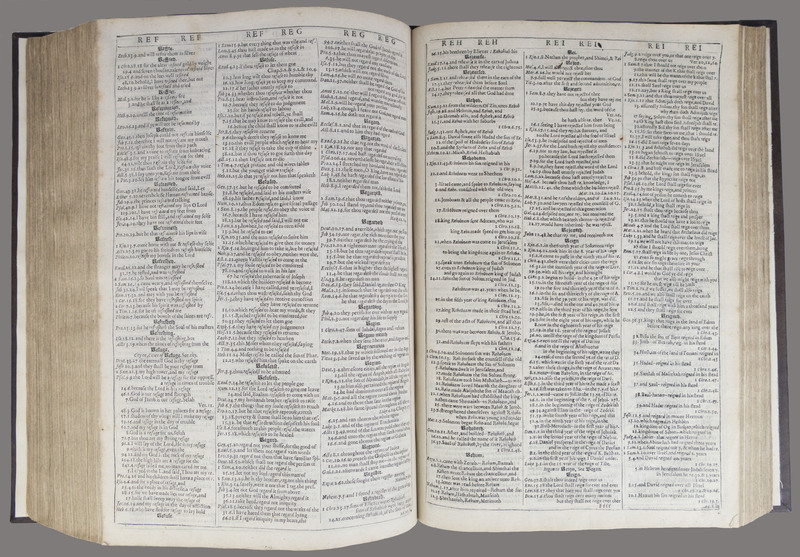 The Concordance was published in London in 1643. Soon afterward, Newman led the majority of his church and others from Hingham to a tract of land “eight miles square” (as described in a 1668 deed) east of the Seekonk River bought from Massasoit, grand sachem of the Wampanoag, in 1641. Newman renamed the area (known to Native Americans as Seacunck) Rehoboth, a word included in his concordance that means open space: “At last the Lord has made room for us, and we will be fruitful in the land” (Genesis 26:22). Newman corrected and amended the first edition of the concordance in his new home, “using in the evening pine-knots instead of candles,” according to Ezra Stiles, seventh president of Yale University. 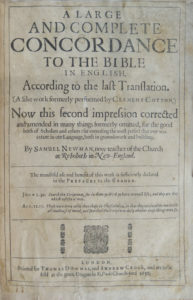 The second edition was published in London in 1650. A third version appeared in 1658. 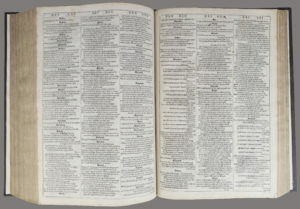 Later editions were known as the Cambridge Concordance, under which title the book was reprinted until the late nineteenth century.